Vintage Fine Jersey Three-Quarter Sleeve Baseball tee. Runs A BIT SMALL! Women sizes S-2XL. It does run a tad small so you may want to size up. 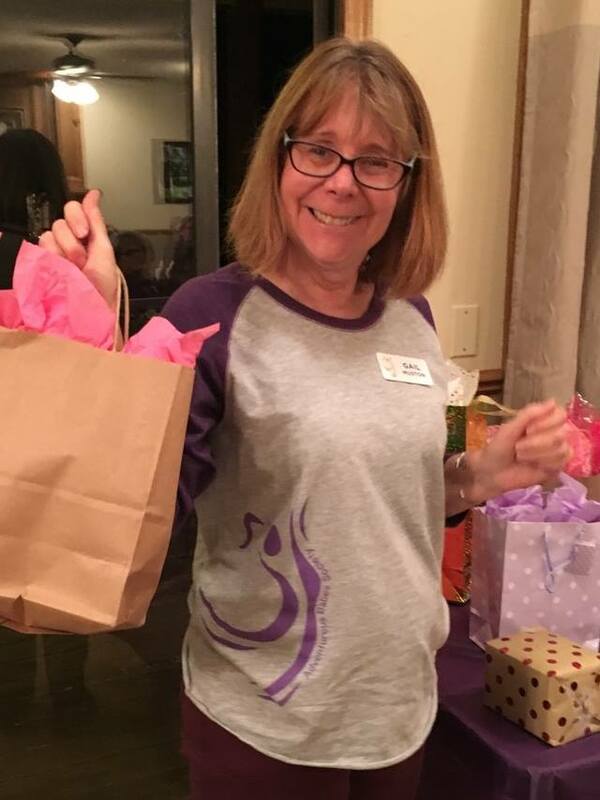 Mystery Bingo is a perfect adventure for Gail to wear her ABS Baseball Shirt! Terri is “Pounding” it out in her Baseball T!